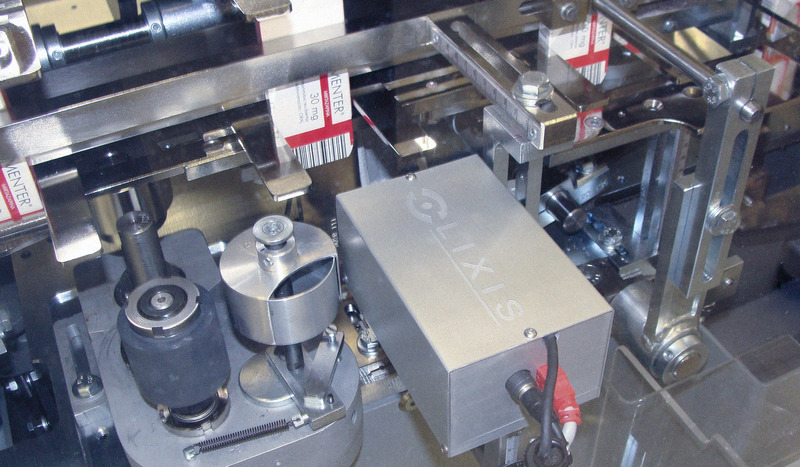 LIXIS PVS system offers reliability, accuracy and high speed for a wide variety of inspection requirements throughout packaging processes. It is capable of checking printing quality and performing code and character verification on most surfaces. Integrating its friendly and easy to use software with regulatory compliance, LIXIS PVS meets the specific needs of the pharmaceutical industry. audit trail, user access levels, total data encryption. Validatable. Designed under GMP guidelines, suitable for clean pharmaceutical environments. Suitable for cartoners, leaflet folders, labeling machines, blistering machines, carton codifiers, and tube fillers among others. No machine slow-downs. Fast and efficient new product set up and recovery. Digital Industrial Camera Sony CCD with adjustable image acquisition parameters stored with each product program. Illumination device based on high-performance industrial white LEDs with incorporated heatsink. Industrial Processing Unit based with USB connection for statistics report exportation. 15″ Color Touch Screen LCD Industrial Monitor. Industrial PLC included for system fail-safe operation and direct rejection devices activation. Shift register embedded for units rejection control and machine stops. Step by step new product configuration wizard aided by LIXIS Virtual Assistant® + Voice Guide. English, Spanish, Portuguese, German, Italian and French. Others available under request. Practically unlimited product program storage capacity. Pattern and character set also stored together with product program. Detailed exportable production statistics report and last defective images stored in system for process analysis.